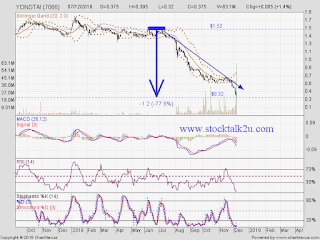 Will it rebound & breakout downtrend resistance level? Stochastic %K already trigger BUY call itinerary. 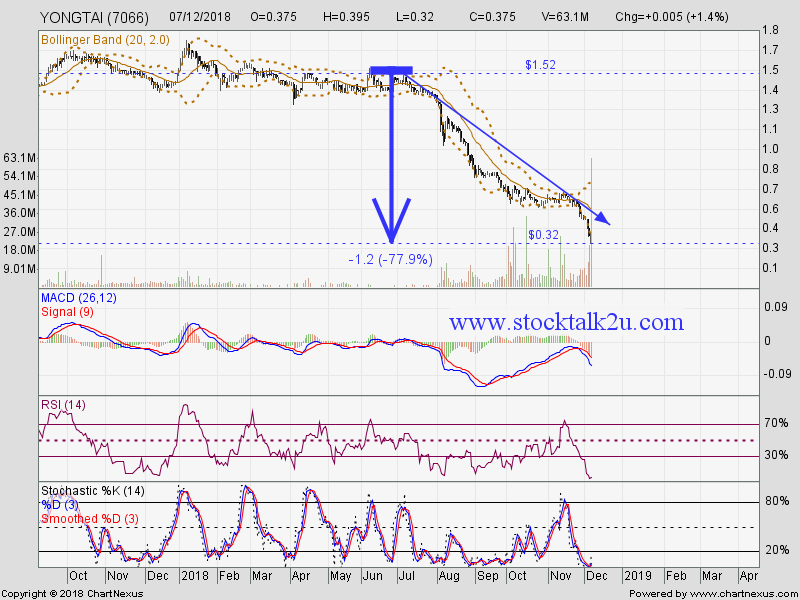 If break RM0.32 support, lower low will be form, downtrend will resume. Immediate resistance @ RM0.435 level. Subsequent resistance @ RM0.50 level.